Python's expansive library of open source data analysis tools, web frameworks, and testing instruments make its ecosystem one of the largest out of any programming community. Python is an accessible language for new programmers because the community provides many introductory resources. 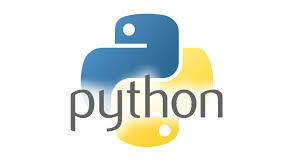 Python Introduction: Python is a high-level, interpreted, interactive and object-oriented scripting language. Python is designed to be highly readable. It uses English keywords frequently where as other languages use punctuation, and it has fewer syntactical constructions than other languages. Python is a Beginner's Language: Python is a great language for the beginner-level programmers and supports the development of a wide range of applications from simple text processing. History of Python: Python was developed by Guido van Rossum in the late eighties and early nineties at the National Research Institute for Mathematics and Computer Science in the Netherlands.